Colonel and Brevet Brigadier General Sylvanus Thayer (June 9, 1785 – September 7, 1872) also known as "the Father of West Point" was an early superintendent of the United States Military Academy at West Point and an early advocate of engineering education in the United States. Sylvanus Thayer (9 June 1785-7 Sept. 1872) was born in Braintree, Massachusetts, the son of farmer Nathaniel Thayer and his wife Dorcas Faxon. In 1793, at the age of 8, Thayer was sent to live with his uncle Azariah Faxon and attend school in Washington, New Hampshire. There he met General Benjamin Pierce, who, like Faxon, was a veteran of the Revolutionary War. In 1803 Thayer matriculated at Dartmouth College, graduating in 1807 as valedictorian of his class. Thayer, however, never gave the valedictory address at Dartmouth, having been granted an appointment to West Point by President Thomas Jefferson at the behest of General Pierce. Thayer graduated from the United States Military Academy after a single year, and received his commission as a second lieutenant in 1808. During the War of 1812, Thayer directed the fortification and defense of Norfolk, Virginia, and was promoted to major. In 1815, Thayer was provided $5,000 to travel to Europe, where he studied for two years at the French École Polytechnique. While traveling in Europe he amassed a collection of science and especially mathematics texts that now form a valuable collection for historians of mathematics. 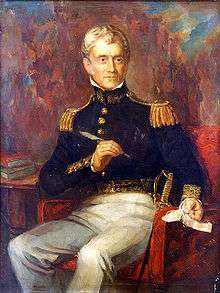 In 1817, President James Monroe ordered Thayer to West Point to become superintendent of the Military Academy following the resignation of Captain Alden Partridge. Under his stewardship, the Academy became the nation's first college of engineering. 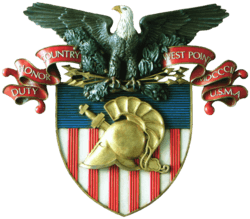 While at West Point Thayer established numerous traditions and policies which are still in use at West Point. These include the values of honor and responsibility, strict mental and physical discipline, the demerit system, summer encampment, high academic standards and the requirement that cadets maintain outstanding military bearing and appearance at all times. Many of the cadets who attended West Point during Thayer's tenure, held key leadership positions during the Mexican War and American Civil War. Colonel Thayer's time at West Point ended with his resignation in 1833, after a disagreement with President Andrew Jackson. He was elected an Associate Fellow of the American Academy of Arts and Sciences in 1834. Thayer returned to duty with the Army Corps of Engineers. Thayer spent the great majority of the next 30 years as the chief engineer for the Boston area. During this time he oversaw the construction of both Fort Warren and Fort Independence to defend Boston Harbor. Thayer's great engineering ability can be observed in both of the above-mentioned forts. Thayer retired from the Army on June 1, 1863 with the rank of colonel in the Corps of Engineers. As a result of Thayer's enduring legacy at the United States Military Academy, in 1869 a notable meeting took place in Braintree between Thayer and the celebrated West Point graduate and Civil War hero Brigadier General Robert Anderson. An outcome of Anderson's 1869 meeting with Thayer was establishment of the Military Academy's Association of Graduates (AoG). In 1867, Thayer donated $40,000 to the trustees of Dartmouth College to create the Thayer School of Engineering. Thayer personally located and recommended USMA graduate Lieutenant Robert Fletcher to Dartmouth president Asa Dodge Smith. Fletcher became the school's first—then only—professor and dean. The Thayer School admitted its first three students to a graduate program in 1871. Also in 1871 at the bequest of his will Thayer Academy in Braintree, Massachusetts was conceived. It opened September 12, 1877. Sylvanus Thayer died on September 7, 1872 at his home in Braintree. He was reinterred at West Point Cemetery in 1877. Thayer's obituary was published in the New York Times on Sept. 8, 1872. Thayer's papers and manuscripts are divided between the U.S. Military Academy Library, West Point, New York, and the Dartmouth College Library, Hanover, New Hampshire. On April 21, 1864, President Abraham Lincoln nominated Thayer for the award of the honorary grade of brevet brigadier general, United States Army (Regular Army), to rank from May 31, 1863, the day before he retired, for long and faithful service. The U.S. Senate confirmed the award on April 27, 1864. To honor his achievements, in 1958, the Sylvanus Thayer Award was created by the United States Military Academy. He has been honored by the United States Postal Service with a 9¢ Great Americans series postage stamp. George S. Pappas, To the Point: The United States Military Academy, 1802-1902 (1993). ↑ "Sylvanus Thayer". Find a Grave. Retrieved October 17, 2010. 1 2 3 4 Herman Hattaway, Michael D. Smith. "Thayer, Sylvanus"; American National Biography Online Feb. 2000, accessed ; American Council of Learned Societies. Published by Oxford University Press. ↑ "Book of Members, 1780-2010: Chapter T" (PDF). American Academy of Arts and Sciences. Retrieved 22 April 2011. Eiche, John H., and Eicher, David J., Civil War High Commands. Stanford: Stanford University Press, 2001. ISBN 0-8047-3641-3. Hunt, Roger D. and Brown, Jack R. Brevet Brigadier Generals in Blue. Gaithersburg, MD: Olde Soldier Books, Inc., 1990. ISBN 1-56013-002-4. Kershner, James William, Sylvanus Thayer – A Biography, Arno Press, New York, 1982, p. 329. "Thayer, Sylvanus". Appletons' Cyclopædia of American Biography. 1889.